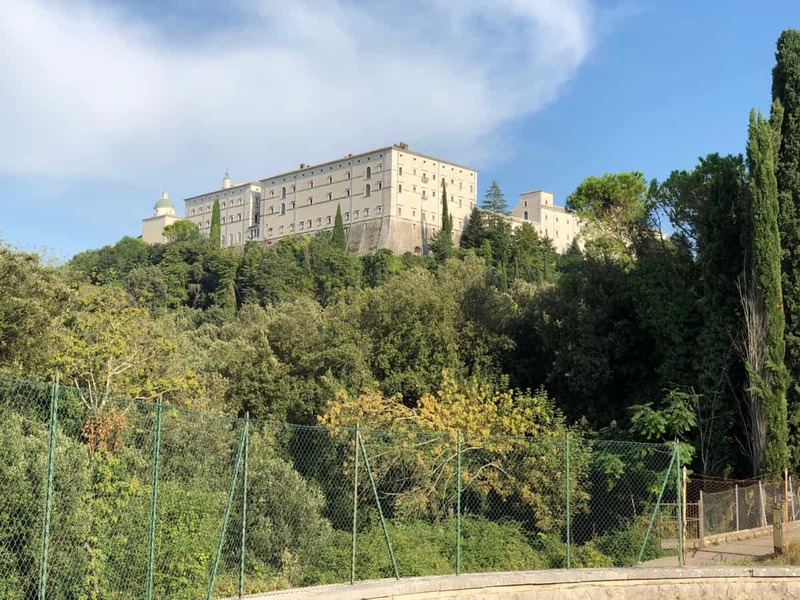 Home » Italy 🇮🇹 » The Abbey of Monte Cassino, Italy. 2018. Travelled: 132 kilometres Mount Vesuvius in Campania to Monte Cassino in Lazio, Italy. 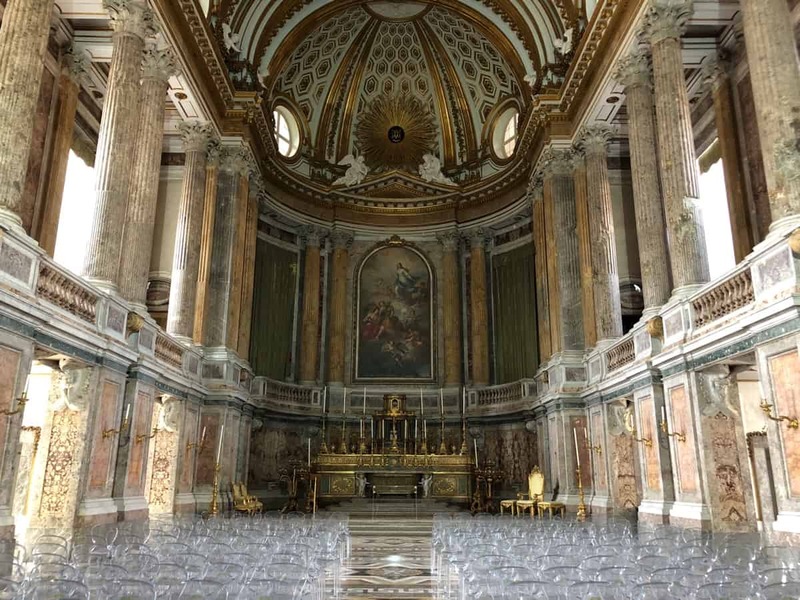 Visited: Caserta’s Palazzo Reale + Commonwealth and Polish Cemeteries in Monte Cassino. Budget: 89 days @ €96 per day. Our free overnight park on Vesuvius was quiet enough till 2am when some random dog started barking. This lasted for a good half an hour before he decided to go and bark somewhere else. We have our coffee and fruit, then prepare the Hymer for action, that being driving down the mountain. 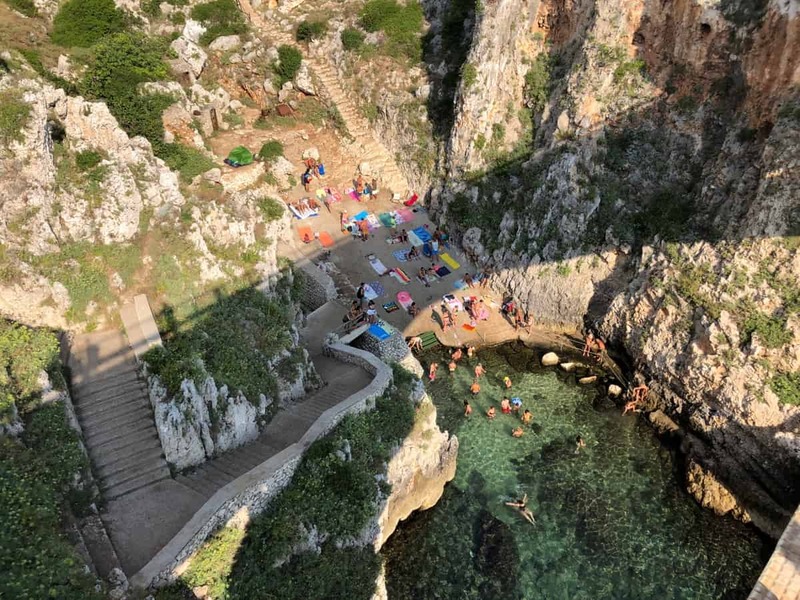 The road is very narrow in places and we want to be down before 8.30am when the tourist buses are starting to make there way up. 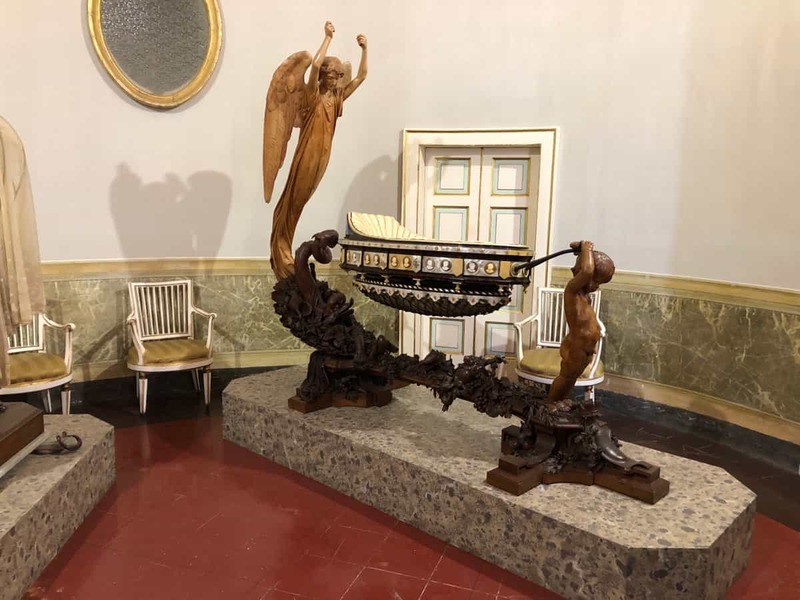 Making our way down to Ercolano again, we turn for the A3 and Caserta. 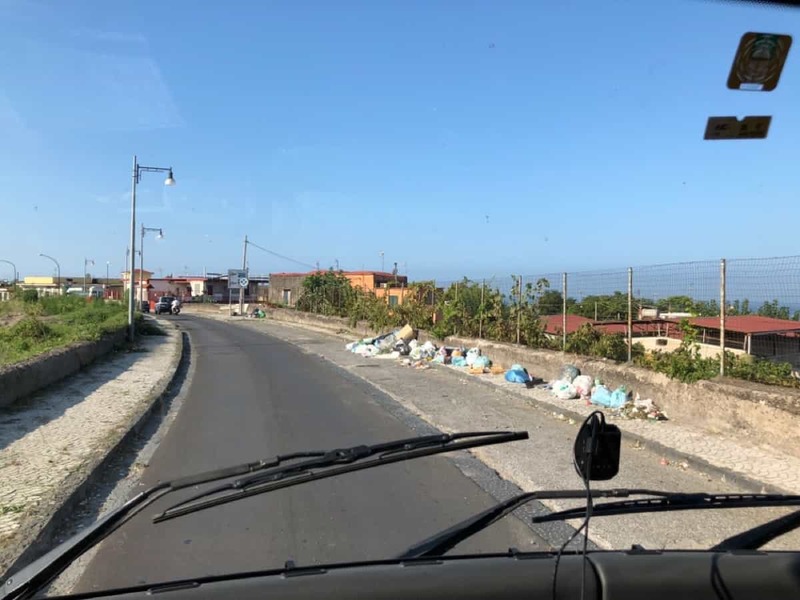 Throwing bags of rubbish on the side of the road is a Italian sport. Reminds me of Delhi in India. As soon as the traffic on the motorway slows, three lanes become five. 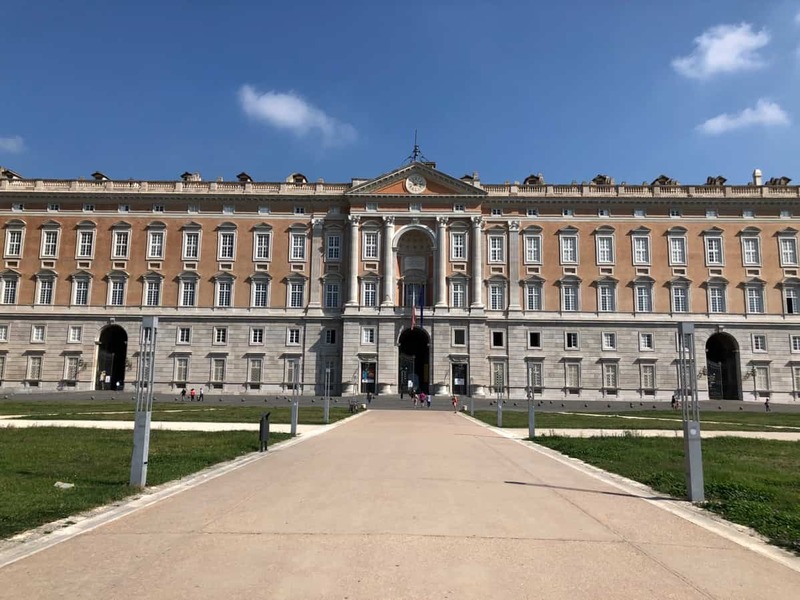 About 40 minutes later we arrive at the Palazzo Reale di Caserta. It’s so big I cannot get it into the frame. The Lonely Planet calls it compelling but we were disappointed. I would say we thought the €11pp was too expensive in hindsight. 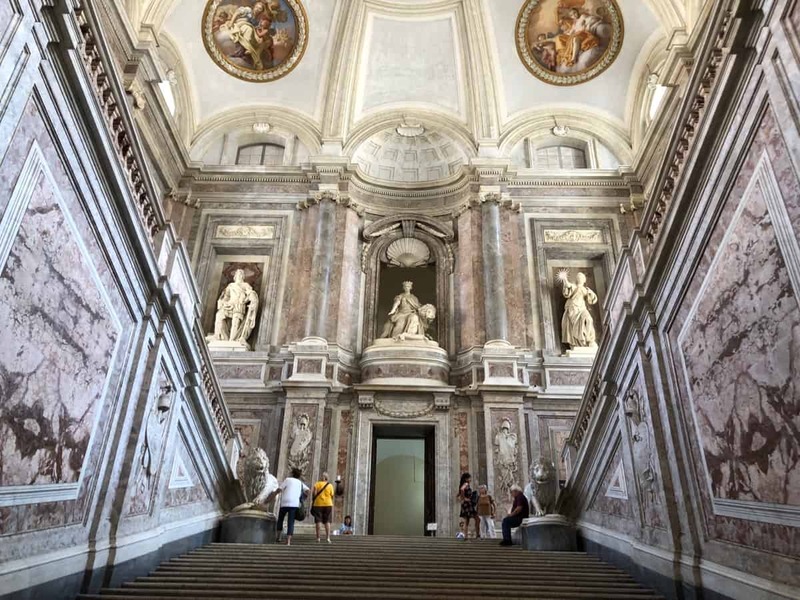 The Grande Staircase. So what’s it all about. 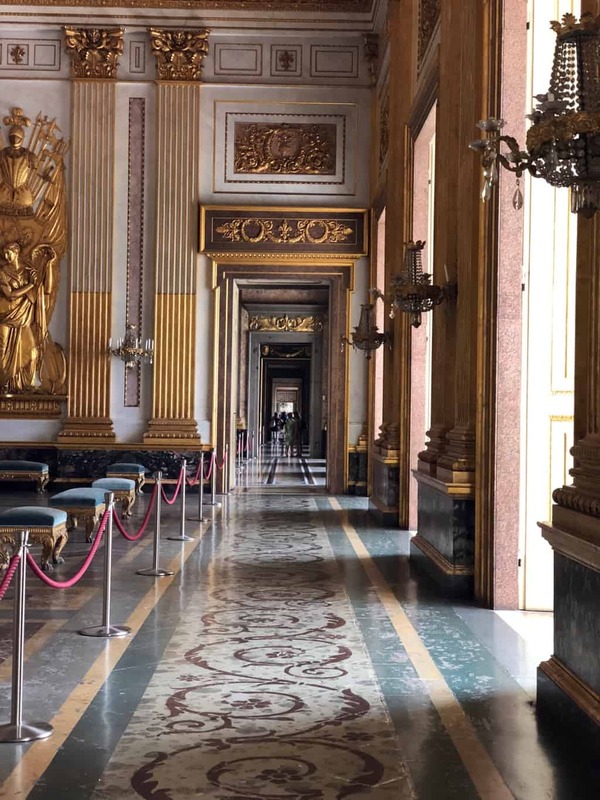 It starts its journey in 1752 when King Charles VII of Bourdon declares he wants a palace larger than Versailles. The Chapel. So we have 1200 rooms, 1790 windows, 34 staircase within its 250m long facade. 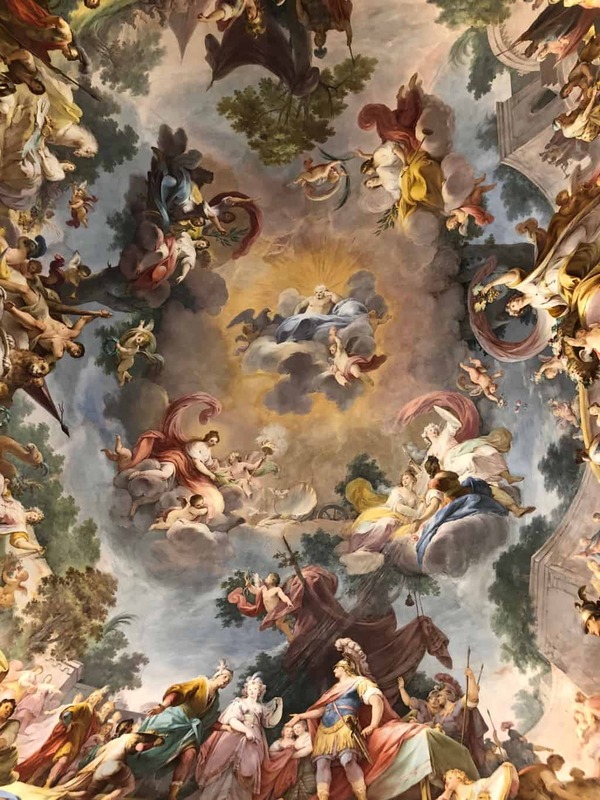 The ceiling frescos are impressive. However the rooms are generally unfurnished, the english information panels are missing from every second room which we found annoying. But consistant with english speaking guides being available at a price. I’m probably being a little hash, the Royal Crib. I presume it wouldn’t be easy to shift on eBay, so it’s still here. Not the hall of mirrors but an interesting photo all the same. We have spent 90 minutes walking about the Palaazo Reale. It’s an impressive building, but its now late morning and stiffling hot in here. For some reason the windows are mostly closed and Charles never thought to have air-conditioning installed. Looking out along the gardens of the Palazzo Reale. The gardens stretch for 1.5 klms up the hill. We look at each other and decide we have walked far enough. 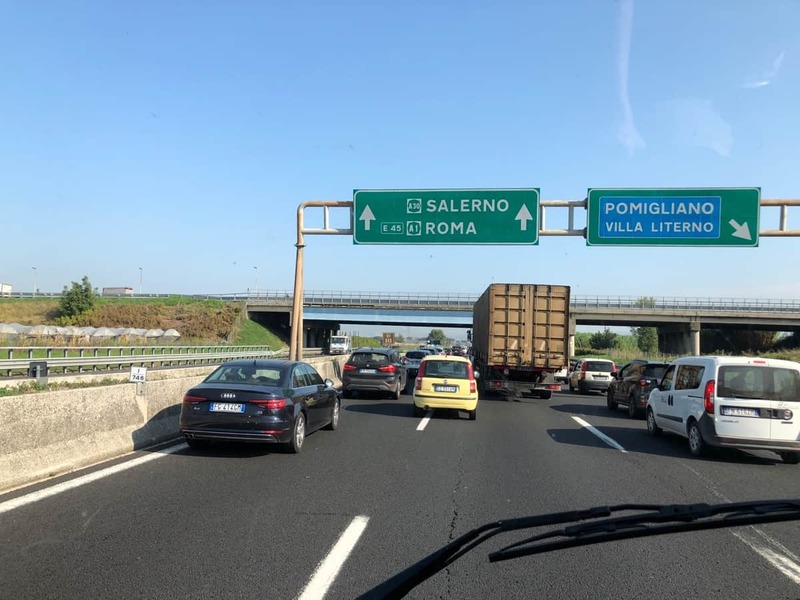 We make our way back to the Hymer, pay the €3.50 parking fee (reasonable) and continue north-west for Cassino in the mountains of Lazio. 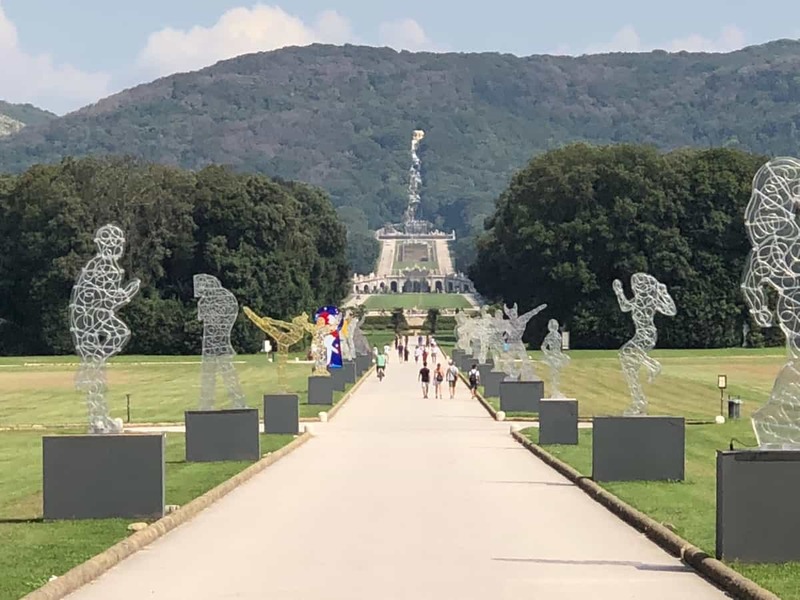 The battle for Cassino, often referred to as the ‘Battle for Rome’ in 1944 is one of those places I had read about and thought if we had the chance we would visit. 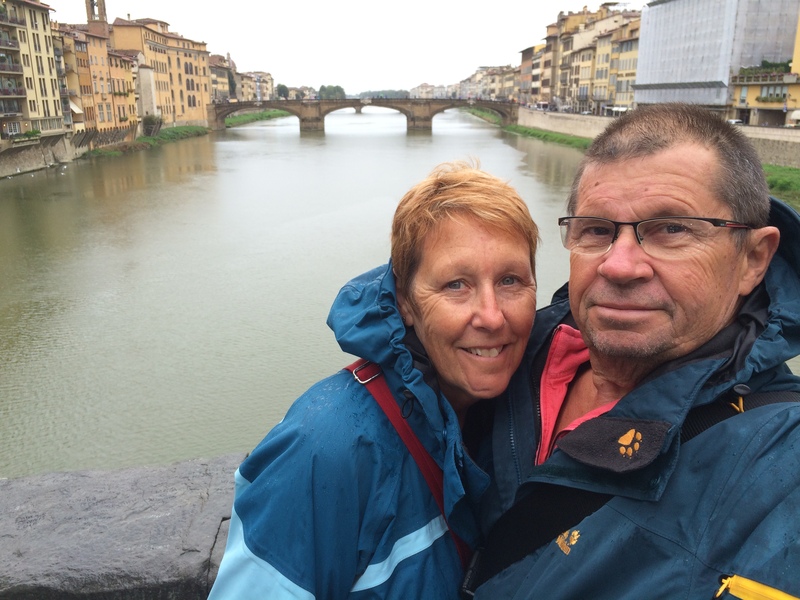 It’s about 50 klms off our track north, but I’m keen and Pam doesn’t mind. 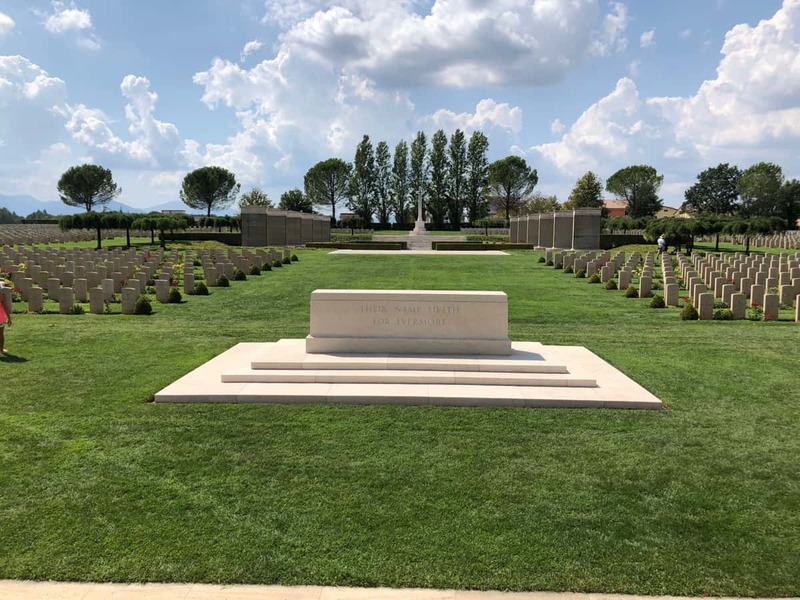 A quick reference to the Commonwealth War Graves register shows 13 Australian are buried at the cemetery in Cassino. We cannot pass without paying tribute. 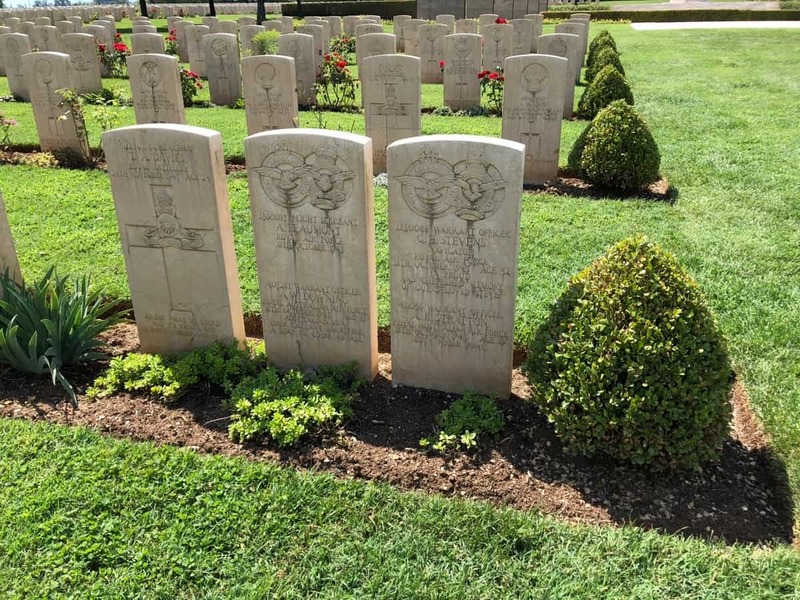 Whilst the majority of the thousands of graves here are English, Irish, Canadian, Indian and Gurkhas, we are surprised to see hundreds of New Zealanders as well. Anyway here are two brave young Australians. Another Australian. 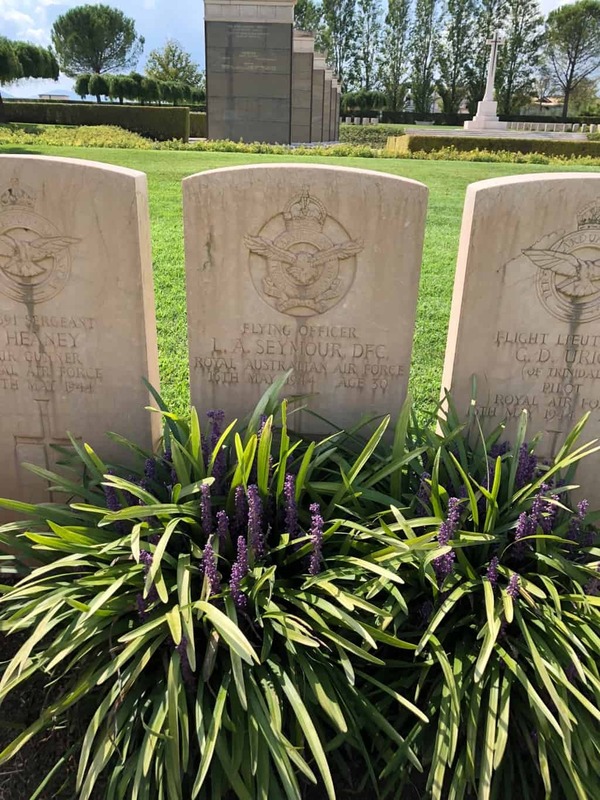 as far as we can see, the Australians were all pilots and aircrew. Note the DFC awarded to Flight Officer Seymour. 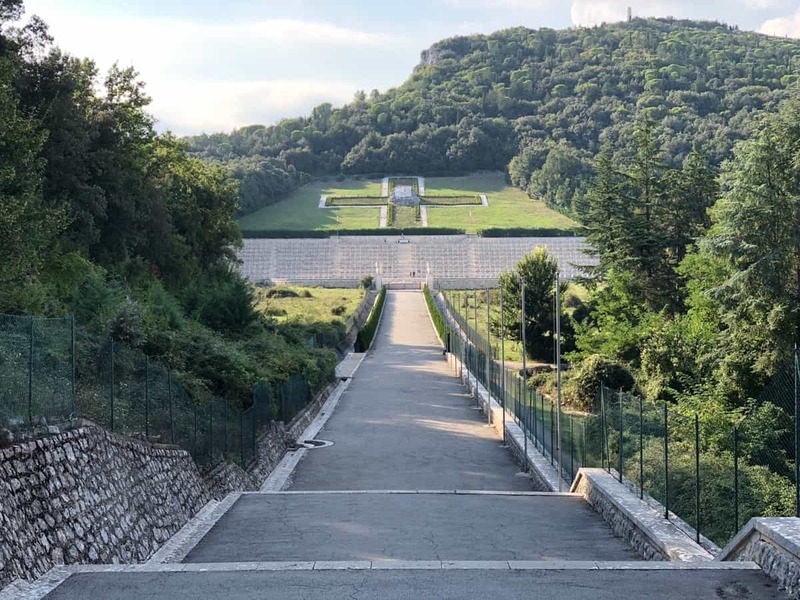 A last look across the cemetery and walls of remembrance in Cassino. Such a peaceful and moving place. The town of Cassino sits on the valley floor. 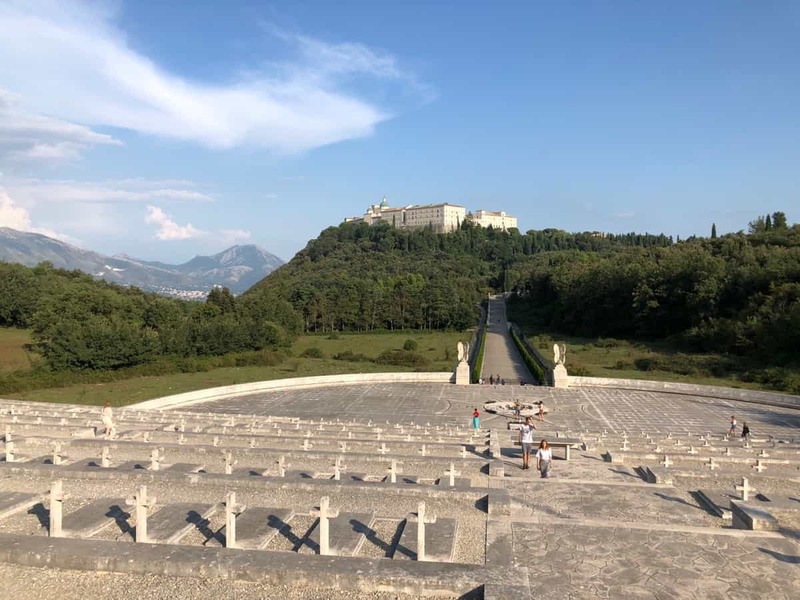 It’s mid-afternoon and very hot so we drive straight past the free sosta here in town and start the climb up the mountain to Monte Cassino. At some 550 metres it’s amazing the change. All we need now is some shade. 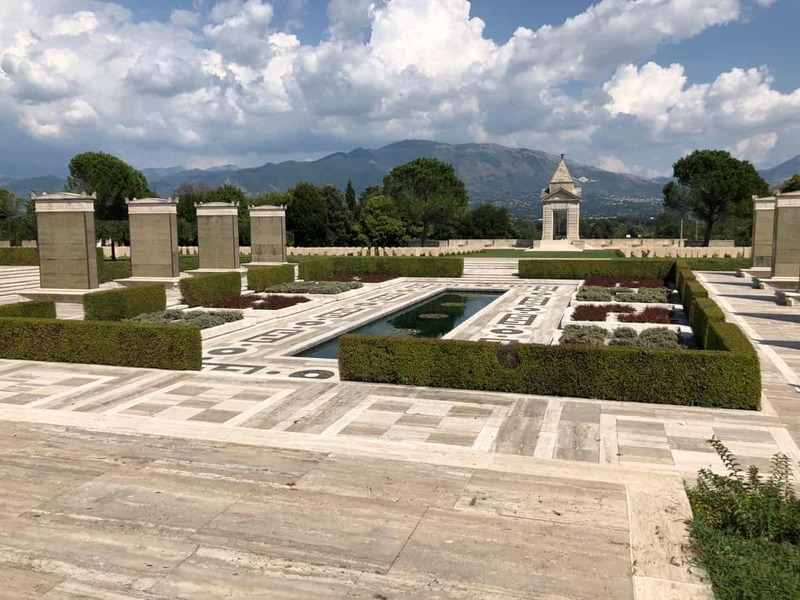 Our next stop is the Polish Cemetery, just below the Abbey of Monte Cassino (pictured). The car-park here is shaded from the afternoon sun by a grove of pine trees. So we park, open all the windows and chill out. 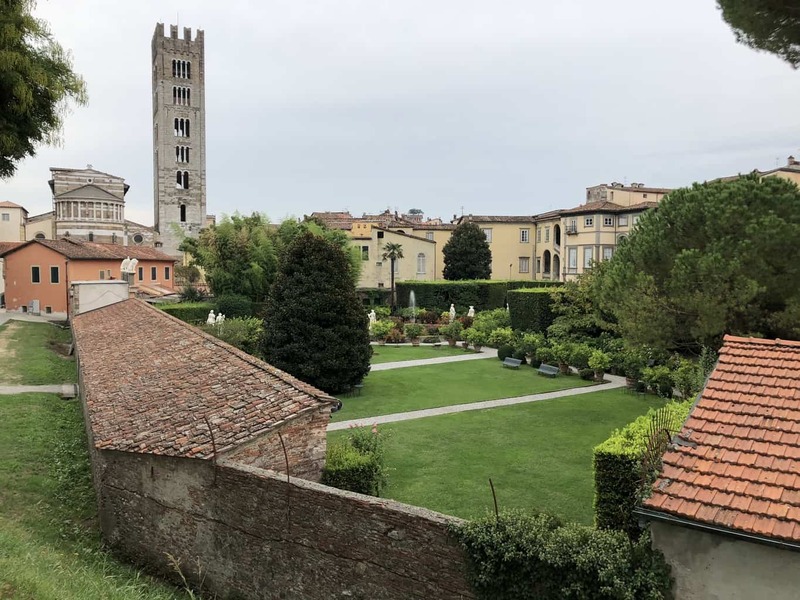 Motorhomes can park overnight at the Abbey for €8, but parking here at the cemetery is free. I think you can guess which option we take. In the late afternoon we walk across to the visitor centre and go on to wander this wonderful cemetery. Built into the slope of the hill, over a thousand young Polish men are buried here. Looking back towards the Abbey from the cemetery. It’s been a bit of a lazy afternoon, but so what. We decide to walk up and visit the Abbey in the morning. So we have a beer and wine, discuss our day. Another one sliding through to the keeper. You brought some memories back to me (not going back as far as WW2 personally – I’m not THAT old): My father did his German soldering in Monte Cassino, often talking about it when I still had no idea about politics, war and so on, and, with eyes glazed over, I only pretended to listen…..now I regret on all the first hand information I missed out on. One for the Unknown Soldier. And here is a little song, written by a German soldier, Ernst Brockmann, at Verdun, on the 20th May 1916. On the 7th June he was killed. Greetings from a delightfully cold and rainy Cronulla. Previous post In the shadow of Vesuvius, Herculaneum, Italy. 2018.